WAUKEGAN, Ill. (WLS) -- Three suspects have been arrested and charged in a murder in a Waukegan Walmart parking lot last week and an arrest warrant has been issued for a fourth suspect, police said. Police responded to the Walmart in the 3900-block of Fountain Square Place at around 6 p.m. Monday for a report of shots fired. Officers arrived on the scene and discovered a man who had been shot to death, police said. The victim was identified as 23-year-old Jovan DuBose from Park City, Ill.
Police said the shooting is related to an illegal drug sale. The weapon in the shooting has not been recovered. 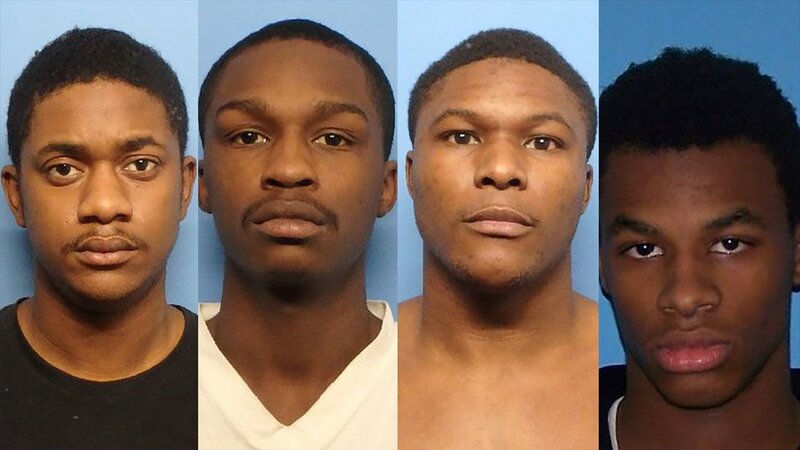 Last Friday, police said Octavis Jones, 21, of Waukegan and Shajuan Garrett, 18, of Zion were taken to a bond hearing on charges of first degree murder. Bond was set for both Jones and Garrett at $3 million each. On Saturday, 22-year-old Gerard Wade from North Chicago was taken to bond court on a charge of first degree murder. Bond for Wade was set at $5 million. An arrest warrant has been issued for 20-year-old Rashaan Wade of Waukegan on a charge of first degree murder. Wade is considered armed and dangerous and anyone who sees him is asked to call 911.